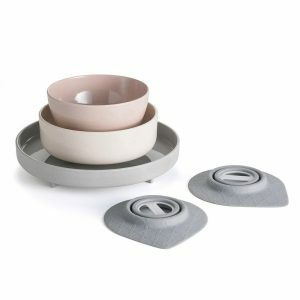 Bonnsu Miniware Snack Bowl Set features a Snack Bowl, Cup and Silicone Spoon. The Snack Bowl has a wider opening which makes it easy for little hands to grab and is the perfect size and shape for your favourite fruit, pasta, chips, popcorn and more. 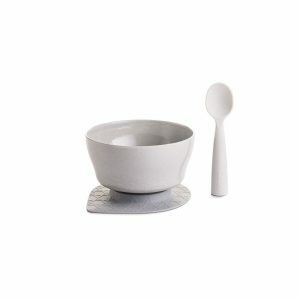 The soft silicone in the spoon means minis can bite and chew as they learn to feed themselves. BONNSU was founded by Swedish designer Adam Bonnier and Taiwanese designer Ai Su Bonnier. The brand brings the couple's' ideal lifestyle into reality by creating a modern, smart and enjoyable lifestyle for our generation. We are focused on the similarities & differences in human behaviors and breaking through boundaries from country to country, culture to culture. Our goal is to tackle sustainability and health in every product we develop whether it be using only 100% natural materials or improving product lifespan and end of use disposal. BONNSU is for those who love premium home décor with a modern touch and Eco-consciousness. We are constantly inspired by personal experiences from love of food, home arrangement, parties, and parenting. Harlequin Kids Chair by Cam Cam Copenhagen. Rafa Kids designed this shelf with the aim that it would grow with the needs of your child. At the beginning, it could be used in a baby nursery above a commode. You can store the necessary accessories on it and display special baby clothes. In a toddler room, L shelf would help to present little toys and favourite wardrobe garments. In a teenager room, the L shelf would be a functional and beautiful element too. 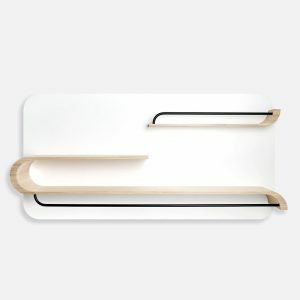 Unique and functional shelf with metal rods. Deepest of all our shelves it fits books, hangers and much more. THIS IS A PREORDER ITEM WITH AN EXPECTED DELIVERY OF NOVEMBER 2018. 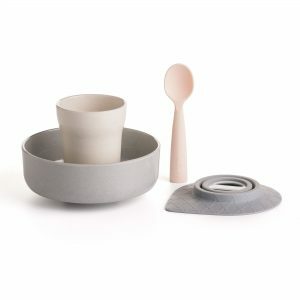 A beautiful gift set to encourage new self-feeders! The Miniware Master Set contains 5 durable, easy-clean pieces designed to help new self-feeders develop their skills. Made from all-natural, earth-friendly materials, Miniware has the beauty of ceramic dishes without the risk of chips and shattering. The generous size and “easy-scoop” design help little ones master self-feeding with proper technique. 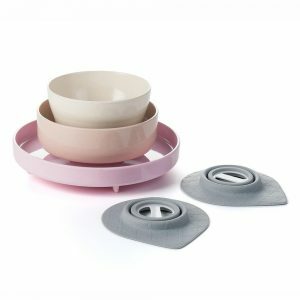 Each set comes with 2 removable suction feet to keep bowls and plates in place and reduce mess and knock-over accidents. Simply detach as your child advances! Imagine the possibilities of this Rafa Kids XL Shelf around your house. Display your collection of comic books, magazines, picture frames, or other things you like. It would be looking great next to a desk with some home accessories. What about putting it next to the bed or in a playing area? This item has enormous versatility and is created with great attention to detail. 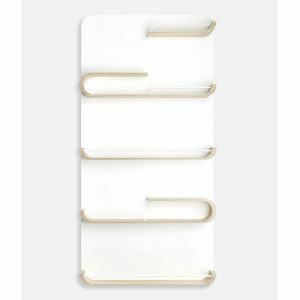 Our unique and beautiful XL shelf is intuitively designed to display your personal items. THIS IS A PREORDER ITEM WITH AN EXPECTED DELIVERY OF NOVEMBER 2018. The best gift for any children who start to self-feed! Give your little ones their own special place setting! The set includes 1 cereal bowl, 1 snack bowl and 1 sandwich plate which comes with 2 removable suction feet to keep food in front of your little ones instead of anywhere else. When it's time to stop using the suction feet the system becomes something the whole family will continue to use eliminating the endless waste of short-term baby products.